Overcoat without sleeves in Chennai ! 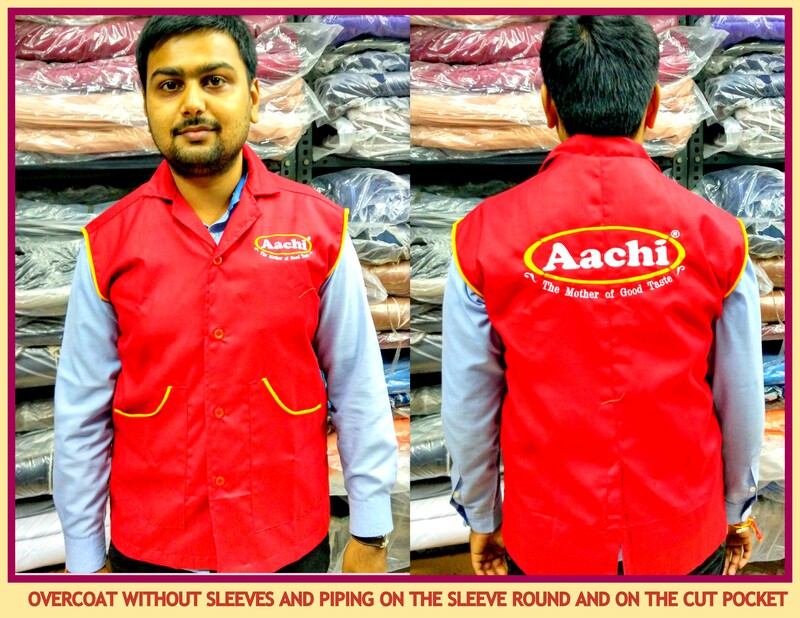 Initially the sample made for Aachi was a half sleeve overcoat with yellow patti on the sleeve and the pocket. After submitting the half sleeve overcoat we had received feedback on the changes required in the garment. We at RSM uniforms worked on the required changes and made a customized garment based on the requirement of the company. The difference between the earlier one and this one was that the garment was made without sleeves, the yellow patti on the sleeves and on the garment pocket was reduced to a thin piping with the style of pocket changed from straight to cut. The buttons were reduced from five to four as generally this garment would be worn by ladies and was made little deeper as it would be lot more comfortable to wear this on a saree. The embroidery color was also changed based on the company’s brand logo. After accommodating the said changes the sample piece was submitted within three days and finally received the order too. You can come up with a image or a garment that you have and get your uniforms customized from us. Call us now for the long lasting uniforms that you always wanted for your company. We would be glad to assist you.